The Pahagaco Lake and Dam was formerly used to supply water to the Glatfelter Paper Spring Grove Facility. While the lake is no longer used as a water supply, Glatfelter maintains the lake for public recreational use. High water flows in downstream toe drains prompted repairs to the dam foundation and bedrock contact soils in the embankment. 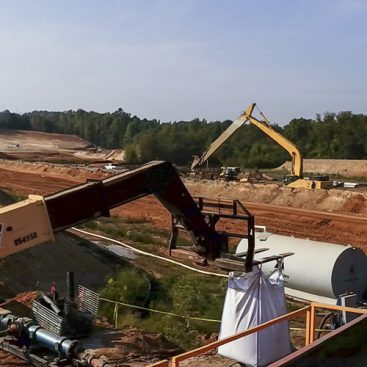 Case 2 – Drilled from existing embankment within footprint of existing spillway footing. 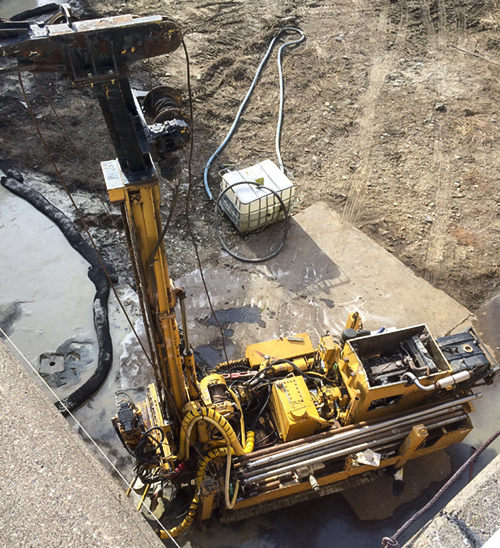 Geo-Solutions subcontracted the drilling associated with the installation of the grout curtain. Grouting of the bedrock progressed in 10-foot ascending stages. 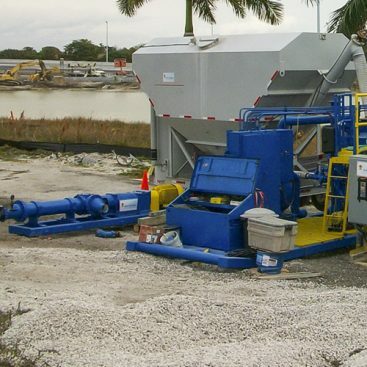 Grout passed through Geo-Solutions’ custom header system prior to delivery to the target grout stage. Stages were isolated with a grout packer apparatus that consisted of a single pneumatic packer attached to the bottom of an aluminum grout pipe. 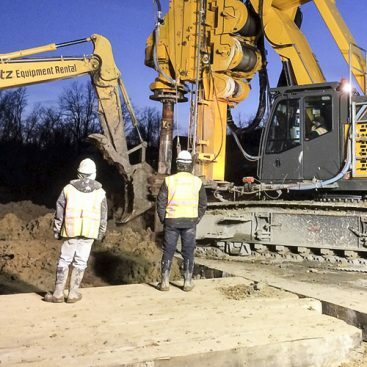 Steel casing set in overburden was extracted 10-feet and the soil/bedrock contact zone was grouted to address any potential defects or flow paths. 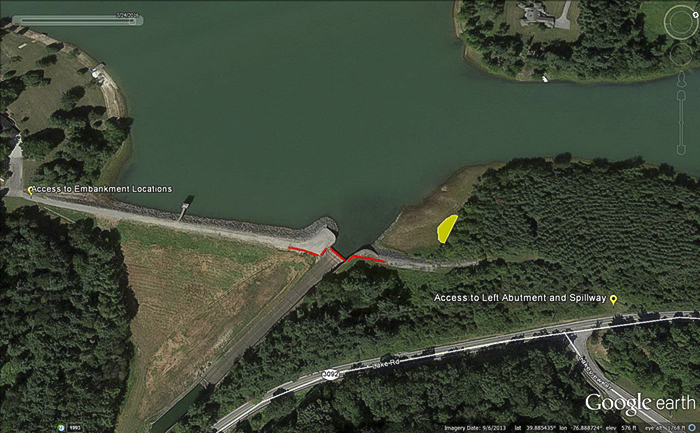 Narrow dam crest made coordination of drilling and grouting operations challenging. 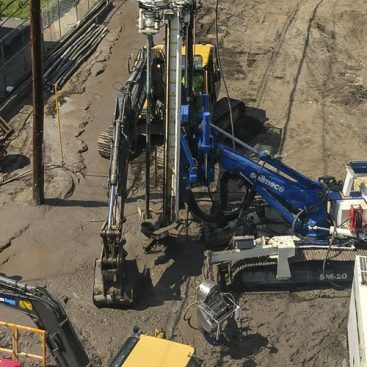 Highly erodible embankment soils necessitated careful control of drill water.